(the Photoreal we used there is an early test sample for water coloring and not representative of final product colors) its worth to note that everything you see in this clip is 100% data derived process! ill use this opportunity to coin a new phrase "AccuGen", as its name suggest its Accurate Autogen as appose to the default Autogen behavior which is random; these will always appear in the same exact place every time! This is my own personal flight recorded raw! before anyone asks... vEarth is designed for Lockheed Martin PREPAR3D, Dovetail Games (DTG) FSXSE, and Microsoft FSX! this flight was captured in FSX! no addons of any kind! 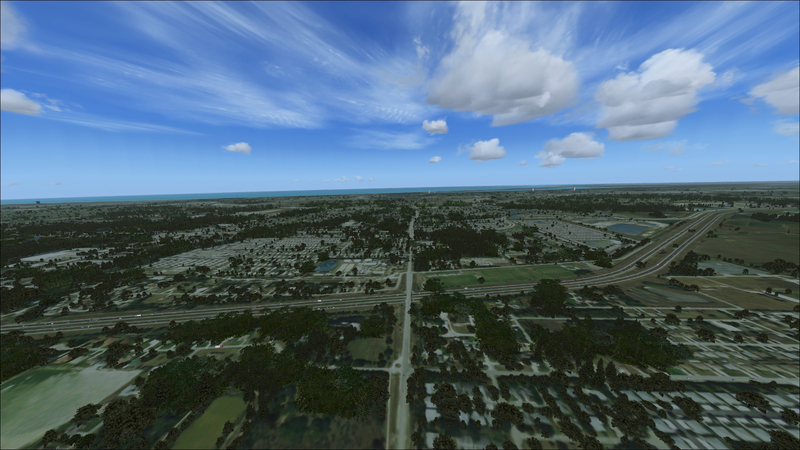 no modification to FSX.cfg what so ever! (except wideaspect=true) This is plain Vanilla FSX out the box with all sliders and setting set at MAX available (default) settings! yes... trees density is controlled by the default density slider inside Sim and can be adjusted in session, under these maxed out setting frames are dead locked at 30FPS!